"Two great new modes (and one poor one) that add more replayabilty to a classic"
The second wave of DLC for the incredible Resident Evil 7: biohazard has arrived in the form of Banned Footage Vol.2. Much like Vol.1 it comes with three different modes to play. Of course is part of the season pass with a third unannounced part to follow in the future. Vol.1 felt like content that should have been in the main game already. It also felt too close to the release of the main game. With more time removed; Vol.2 feels like a way better release that provides some different challenges from the main game and plenty of replayability. 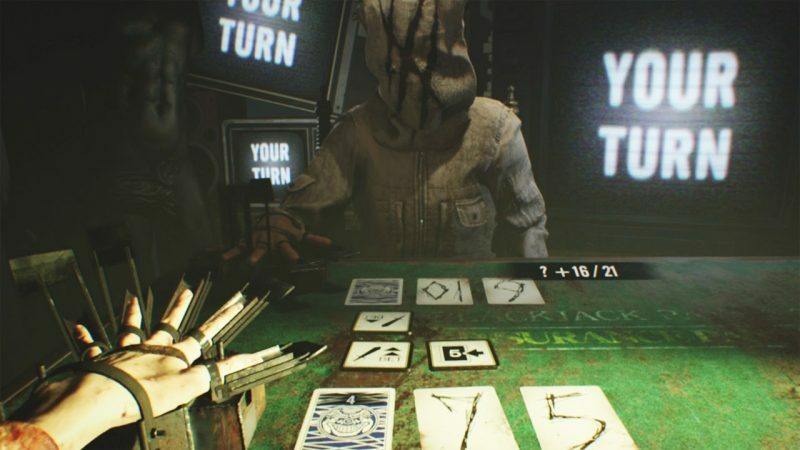 The first new mode is 21 and is a twist on the popular card game Blackjack. Much like Blackjack you compete one on one as you race to get to 21 or as close as possible without going over. But there are many twists on this formula that make this mode way more interesting than I expected it to be. First is the fact you are both playing from the same deck of 11 cards (1 to 11). This already adds an element of counting cards which I really liked as you have to weigh up the odds of getting the card you want based on what has already been dealt. Then things get very tricky in the form of trump cards. Trump cards can be played whenever it is your turn and completely turn the game on its head. Trumps range from changing the target score to 24, swapping the last card you was dealt with your opponent or even straight up removing cards. This completely changes the base idea of just either hitting or sticking on a certain number as you try to figure out what is the best strategy to beat your opponent. Getting to 21 is no longer a victory as your opponent could change the target score to 27. It’s a really fun and interesting mode to play around in. I also liked the tie in to the main game Lucas is there as a sort of crazy game show host who tries to trip you up every round. It's definitely a great use of his character. At times the mode felt a little too hard on the last difficulty. Of course there is luck involved like any card game but overall I enjoyed it a whole bunch. 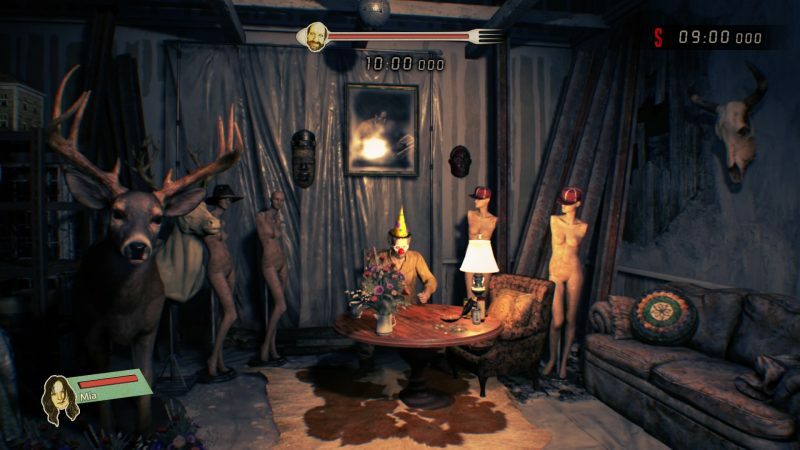 Daughters is the story based piece of content in the package. This is something I definitely want as the main game was so well done. It also left me wanting to know more about certain parts and people. However Daughters does absolutely nothing to help answer these questions. It is set during the night the Baker family first encounter Mia and Eveline which is certainly an important part of the story but really doesn’t do anything to expand upon what we already knew. Then comes the gameplay which is the worst part. You play as Zoe and if you ever get caught by Jack or Marguerite you have to watch a 20 second cut scene before being instakilled and having to start over again. You basically have to run and sneak around without being caught. Zero combat whatsoever. 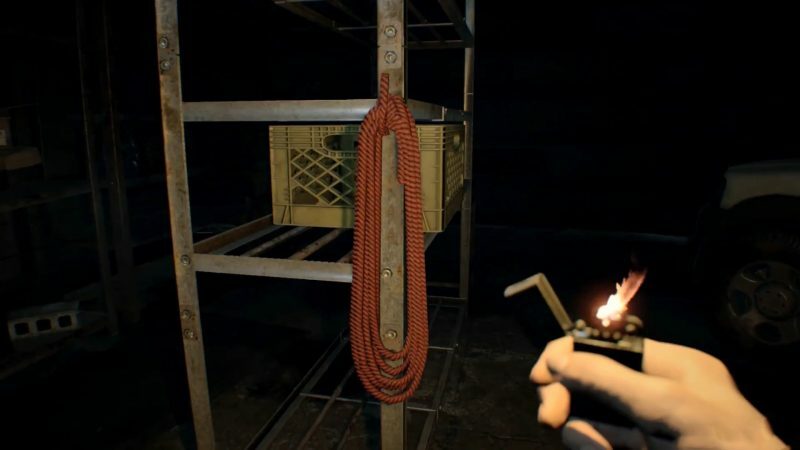 It’s something I was worried would happen in the main game after clearly being influenced by Outlast but was thrilled when that wasn’t the case. Sadly they decided this was the route to take on this mode and I really didn’t enjoy it. There’s two endings so I guess there’s a reason to play it twice. Overall it’s the weakest mode on both DLC’s so far. Jack's 55th Birthday on paper shouldn’t work but it really does. You have to race around the area collecting all sorts of food items and ingredients to feed Jack. Because he’s hungry. And it’s his birthday. Don’t question it. Basically it plays the most like Mercenaries in the past managing time as you navigate an area. You have to learn the most efficient routes to collect food in the shortest time possible. Managing your item space is also key with combining food to score more points. It’s really fun and easily my favorite mode they’ve added to the game so far. There's six different levels so plenty of replayability and not just because I have to keep getting every trophy in this game (51/51 so far). The humor is also what I really enjoyed from this mode. Jack’s eating animation is just ridiculous at times. Enemies have different colors to them which makes them look way less threatening than in the main game. Also they sometimes wear little hats and it’s just the cutest thing. Cute for the molded anyway. It’s a shame that it’s purely cosmetic changes as none of the DLC has added new areas or enemies yet but at least this mode feels more different than the rest so far. And that’s Banned Footage Vol.2. A mixed bag as I think it contained the worst mode so far (Daughters) However it also has the best two in 21 and Jack’s 55th Birthday. I definitely think it’s worth getting just for these two modes alone. If you really have to know what happens in Daughters just watch it online and skip over it in favor of two vastly different but equally fun modes. Definitely a step in the right direction and certainly makes the season pass feel more worthwhile than Vol.1 did.